In a series of shocking “demand” emails containing screen captures showing lists of Natural News articles, Apple has demanded Natural News stop publishing articles critical of abortions or Satanism, threatening to block the Natural News app from all Apple devices if Apple’s demands are not met. This is the first time that a dominant tech company has overtly come out in defense of Satanism while threatening to censor a prominent publisher that exposes the evils of Satanic influence. Many people will see this as yet more proof that Apple, along with other tech giants, is literally aligned with Satan and is exploiting its power of censorship to silence those who criticize Satanism. Yes, you read that correctly: Speaking out to stop the mass murder of newborns is now “hate speech” according to the deranged, mentally ill Leftists who run Apple, Twitter, Google, YouTube, Facebook and Snapchat. Techno-fascism has now become a movement of mass infanticide that demands the silencing of those who oppose it. “Hate speech” means standing up for the innocent and demanding an end to the murder of children. 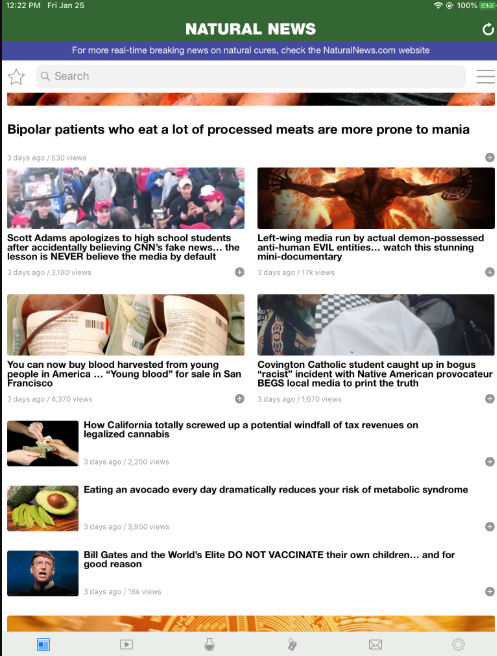 There are more screen shots, too, sent to Natural News by Apple, indicating that Apple is trolling all Natural News content and trying to find examples of stories to be “offended” about. 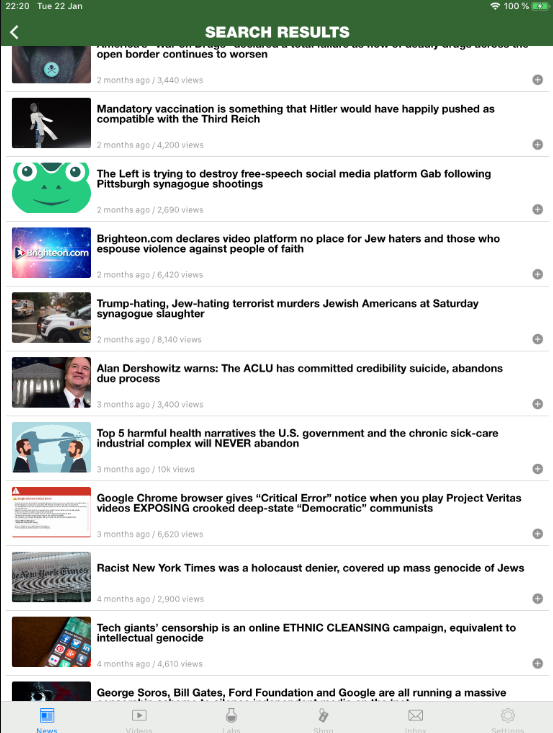 Some of the other content the Apple says is “offensive” includes articles about abortion, infanticide, censorship, the LGBT agenda and illegal migration. When you tweet Apple, tell them to stop trying to control Natural News and stop censoring our app. Like all the tech giants, Apple has been consumed by truly demonic forces and now demands the silencing of all those who oppose evil, murder or tyranny.